Birthday wishes to Minami Minegishi 峯岸 みなみ, a.k.a. “Miichan” born November 15, 1992 in Tokyo. Japan is half a day ahead of me, so I want to be the first in my time zone to wish that little rascal a Happy Birthday. She has always been one of my favorites! She might not have her Uncle Denny’s eyes, but she has inherited my sharp, sarcastic sense of humor. I could not be more proud of this effervescent young lady. Remember her beautiful ballad from 2011? Please view “Watashi wa Watashi” in the optional HD. It has an English translation. It is very tender, and her gams are amazing. Miichan, don’t start crying, because then you will make me cry! I know what y’all are thinking. I never commented on that time that Miichan got in trouble in 2013. MM broke the rules and spent the night with that dude that time. Her mistake. 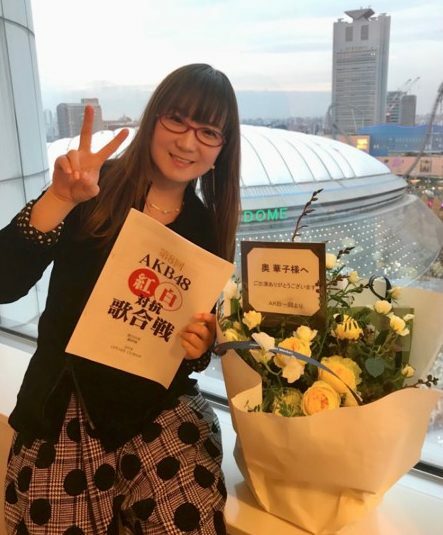 Her apology on the AKB Official Channel was worse than it needed to be. She only had to say she was sorry for breaking the rules … shaving her head was her own idea. Look … I love Miichan. I will never post a photo of Miichan in that moment. Instead please enjoy this slide show retrospective from better times. The studio version of the song, with a montage of my young niece is linked here. I think one of the reasons why she did it was because she has that acerbic – but funny – attitude of hers. She has always been a “smarty pants” (American term), and sharply sarcastic wit. That she might “bite the hand that feeds her” (another American expression) would not be unexpected from Miichan. I think that is why she thought she could get away with it. She was one of the founding members of AKB48, and I know that she is due to graduate soon. She has the same sweet “baby face” today as she did in 2005. Dynamite legs to boot. Best Wishes Minegishi-san! … because you can take it, I dedicate these sarcastic comments to you! She was demoted, but why Miichan was not kicked out of the group, I do not know. Maybe it is time to move on in her career. I would follow her solo career. I always thought that she would be a good sitcom actor — maybe in America. I would love to write a pilot for Miichan to star in an American sitcom. I have this idea about a Japanese English-major exchange student who gets in all kinds of trouble due to hilarious cultural misunderstandings. She would basically just play herself — sweet, funny and sarcastic. The audience would also be able to learn about many the fun and strange (to Americans) aspects of Japanese culture. I will title it “Learning Engrish”. Who should the American actors be? Happy Birthday. I bow respectfully to you, dear young lady.